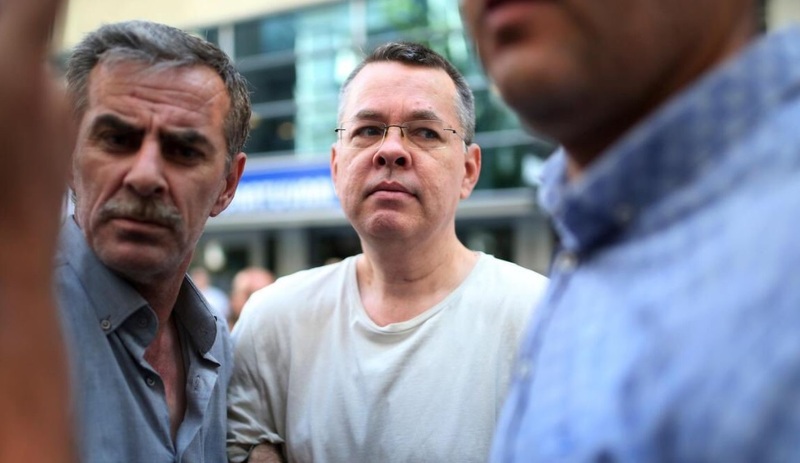 The American pastor Andrew Brunson who has been held captive in Turkey since the failed 2016 coup against the Turkish government is finally freed from prison. Vice President Mike Pence delivered a statement Friday morning saying he was "hopeful" of Brunson's return and sure enough the negotiations seem to have been a success. Saturday will be a big day for the pastor as he returns to his homeland after two years in prison for alleged espionage to be greeted by the President at the Oval Office. The 50-year-old Brunson is set to arrive at Joint Base Andrews near Washington around noon Saturday but first, he will stop in Germany for a medical checkup. President Trump said at a rally in Ohio Friday evening, "He suffered greatly, but we’re very appreciative to a lot of people. I hear he's in good shape." Brunson is a native of North Carolina but lived in Turkey for over two decades before he was arrested in October 2016 under allegations that he was part of the military coup against the government. Trump called the allegations against Brunson "bogus" but it was enough for the country to hold the pastor in prison for the last two years. He was placed on house arrest for health reasons before he was finally freed on Friday after a court sentenced him to time served. It has been a goal of president Trump to bring the wayward pastor home for many months and his safe return will be another victory for the administration. Trump was very vocal about the release of Andrew Brunson and has tweeted on more than one occasion about the pastor. Back in July, he tweeted, "A total disgrace that Turkey will not release a respected U.S. Pastor, Andrew Brunson, from prison. He has been held hostage far too long. @RT_Erdogan should do something to free this wonderful Christian husband & father. He has done nothing wrong, and his family needs him!" Despite Turkey's refusal for some time to free the pastor, Trump's July tweet followed a run-in with the Turkish president during the NATO summit where the pair allegedly shared a friendly "fist bump". Jordan Sekulow, executive director of the American Center for Law and Justice, has been representing the Brunson family. In 2016, Sekulow said, "The government of Turkey — led by an Islamic party — has begun increased crackdowns on Christians, and Pastor Andrew, if convicted, may face years in prison based on extremely serious — and false — charges." The American pastor's family said in a statement, "Andrew’s strong faith has always been at the center of his life and that has never been more evident than his pastorship in Turkey. His love and concern for the people of Turkey is unmistakable, as he has dedicated 23 years of his life serving them." The Trump release did not cost a plane load on money either.